Editing is a long process when it comes to an opening sequence, but if we all do our individual parts to get the job done it is much easier and quicker. We all helped a lot in the editing, I was particularly keen on cutting down the clips to the right timings to ensure continuity, but also to ensure that the sequence of montage shots looks right. I also helped out making the titles, but we all gave in ideas for this, just shared the job of actually making them. 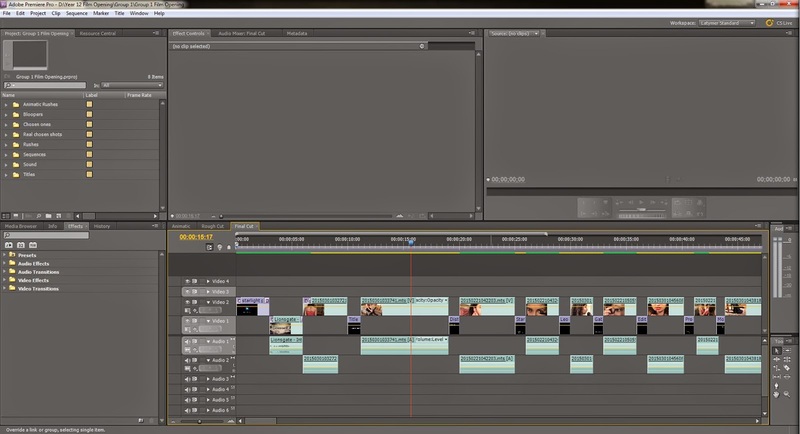 Here is a photo of our sequence in Adobe, which we have been editing.